Great hotel! ... We stayed at Hostel Paradis for 3 nights in July and loved it. The location is fantastic - same street as Louis, Chanel, Bally etc. The room was big and spacious, as was the bathroom. The room was very clean too! TWO minute walk to old town, bars, clubs, restaurants, & great night life. 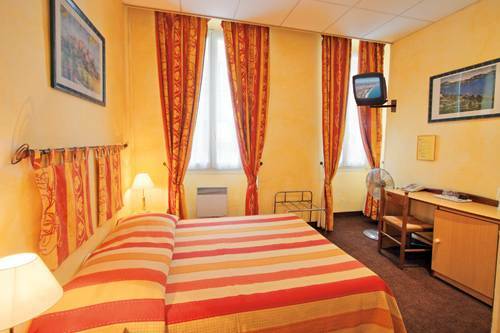 GREAT ROOMS & HOTEL SERVICE. YOUNG FUN STAFF WHO SPEAK YOUR LANGUAGE. FREE PACKAGE OF TOURIST INFO ON ARRIVAL. FREE LUGGAGE ROOM AVAILABLE ON ARRIVAL AND DEPARTURE IF YOU HAVE A NIGHT TRAIN OR LATE DEPARTURE. YOUR OWN KEY FOR EASY ACCESS. Italian and Russian) are always on hand to give you information and help you with your trip. THERE IS NO CURFEW, YOU HAVE YOUR OWN KEYS AND CAN GET IN WHENEVER YOU WANT. You will receive a reservation confirmation with all the details on late arrivals directly after your booking and also another confirmation from us. We will give you all the info you want on where to eat inexpensively and how to get around without spending a fortune. DISCOUNT BUS TOURS OF NICE. ********A BIG TIP. 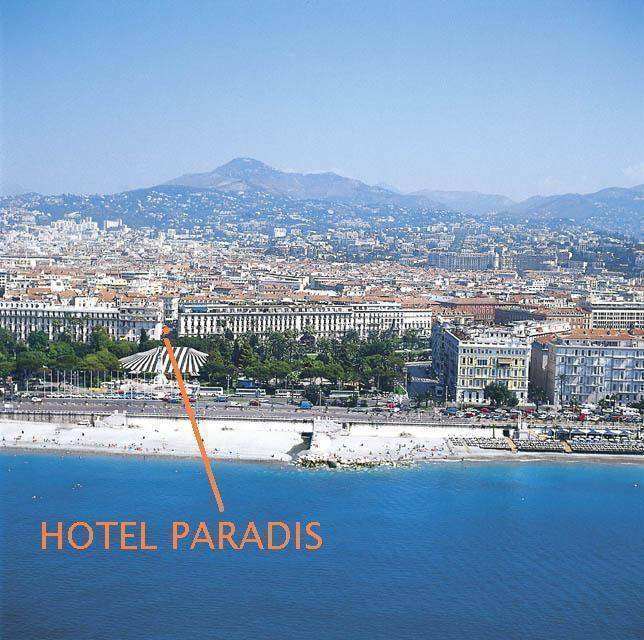 IF YOU WANT TO VISIT OTHER TOWNS ALONG THE COAST SUCH AS MONACO, CANNES, or ANTIBES, STAY IN NICE AT THE 'PARADIS' AS IT WILL SAVE YOU ALL THE HASSLE OF CHANGING HOSTELS. THESE TOWNS ARE JUST 30 MINUTES AWAY. High class area. The hostel is between Louis Vuitton and Armani but there are plenty of inexpensive, excellent, resturants & eateries too nearby. Security under 24 hour video surveillance. 1 MINUTE WALK TO BEACH. NO TRANSPORT NEEDED TO GET TO THE BEACH OR CENTER SO IN FACT LESS EXPENSIVE THAN STAYING OUT IN THE STICKS. WE WILL GIVE YOU ALL THE TOURIST INFO YOU NEED. We hope you will become one of our special guests. Please note that the reception closes at 20. 00 every day except Sundays and public holidays when it closes at 18. 00. Arriving outside these times is no problem as we have a special procedure to get in which is indicated in your confirmation mail. 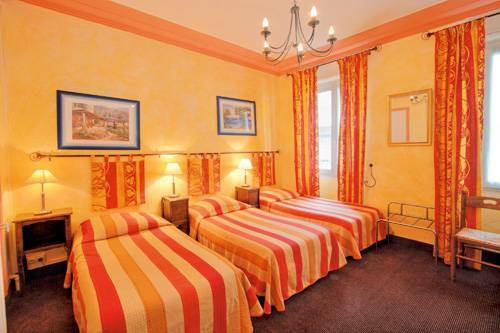 You will also receive from the hostel an e mail confirmation of your reservation with all the instructions too. So please check your mails before arriving. BASICALLY EVERYTHING IS NEARBY - GREAT LOCATION. PLEASE NOTE ACCESS CODES TO ENTER THE HOSTEL WHATEVER TIME YOU PLAN TO ARRIVE. If you arrive after the reception is closed the code to get into the hostel is : 01945A and the code to the safe to get your keys is: 001066A. Do not forget to take this with you even if you think you will arrive during reception hours as trains can be late!! From the AIRPORT get the bus that goes to the center of town 'direct via hotels' ( bus 98 )Get off at stop 'Albert 1er. The hostel is opposite Park Hotel and next to Louis Vuitton. Coming out of the TRAIN station, cross over to the other side of the treet and walk to the left until you get to the Rue Paganini. Take this street and after a couple of minutes it changes name to Rue Alphonse Karr. At the end you will come to a small pedestrian square called Place Magenta. 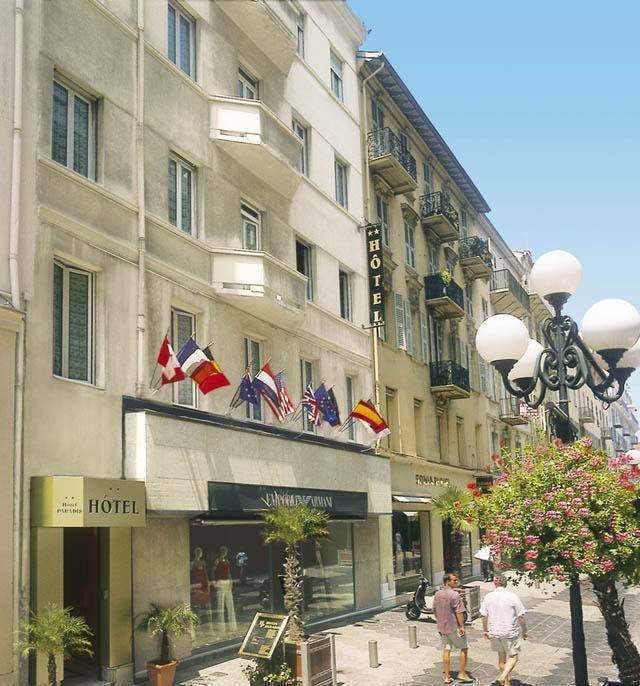 The Rue Paradis is right opposite and the hostel is at N°1. 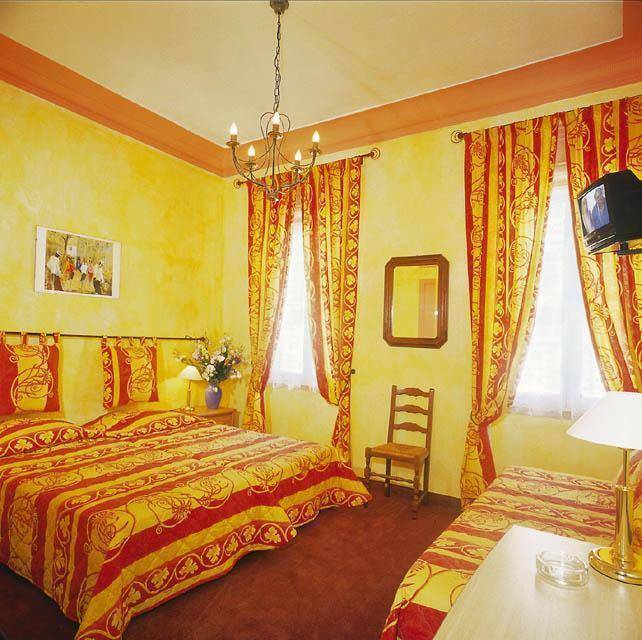 All the rooms are en suite and decorated in an orange and yellow pastel col:our. In between Louis Vuitton and Armani, this is a hostel in agreat spot near everything and a few seconds from the beach. Great rooms. If cancelled more than a day before arrival no cancellation cost.